With this change also our brand new website went online. On our new website you will find more kits and more information about the kits. 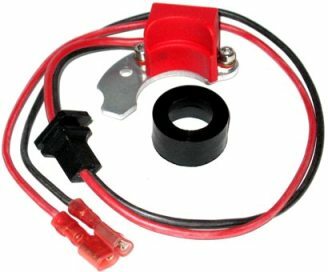 The Hot-Spark kits use the very reliable Hall-technology. There are no moving parts and no parts that wear out. Hot-Spark kits therefor have zero wear, no point float, amd no bad breaker contacts or condensor. Dwell is allways spot-on. The electronics are all cast in a thermoplastic housing and is fully protected agains heat, oil, dirt and moist.